Riverfront restaurant The Pelican will be holding a whisky pairing dinner on Thursday 5 July 2018 from 7pm featuring a range of single malt Scotch whiskies from the Beam Suntory portfolio. 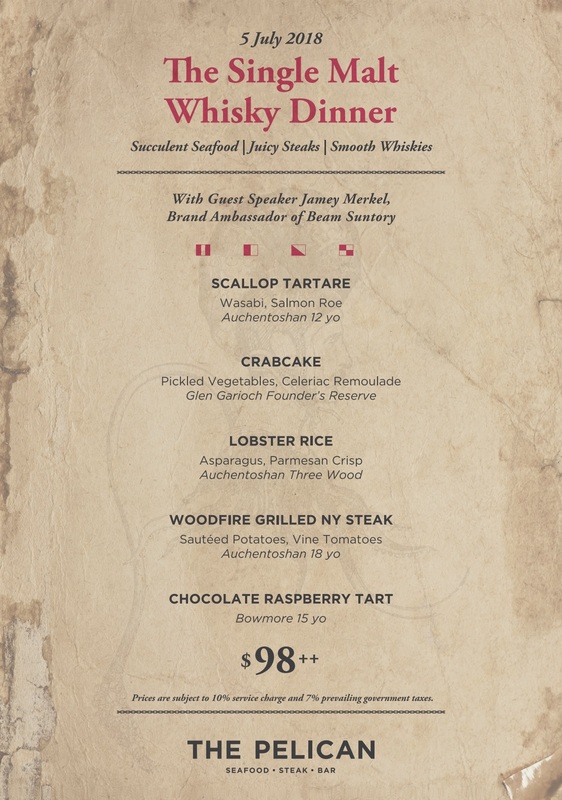 This whisky pairing dinner costs $98++. To book a spot email enquiry@thepelican.com.sg or call 6438 0400.